IT admins are shifting their infrastructure to the cloud. In fact, Spiceworks found that budgets for hosted/cloud-based services saw the biggest increase in 2017 compared to budgets for managed services, software, and hardware. While the shift to the cloud has been underway for some time, IT’s recent focus on cloud identity management is a new development. 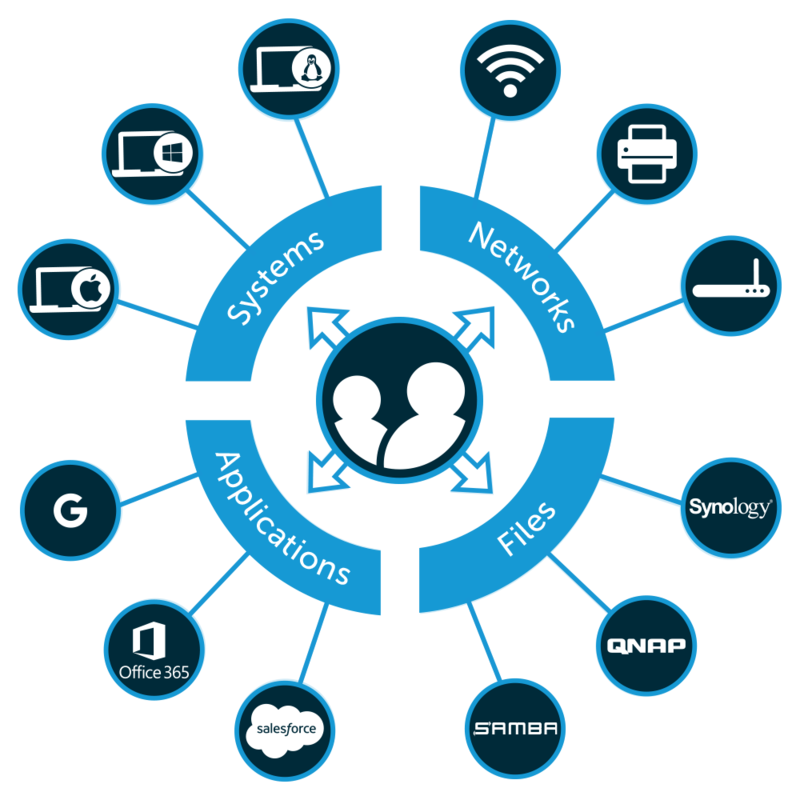 Traditionally, identity and access management (IAM) has been an on-prem solution. Now, the cloud directory feature for user management is shifting this area to the cloud. Let’s take a look at some of the problems IT has been experiencing with legacy IAM providers. Then we’ll walk you through some aspects that you need to consider when moving to a cloud-based directory service. The IAM landscape started with Microsoft® Active Directory® in the late 1990s. Active Directory was created to provide IT admins with effective control over users and their access to IT resources that leveraged LDAP and Kerberos. For a few short years, Active Directory worked perfectly. The only catch was that infrastructure needed to be maintained on-prem and organizations needed to stick to using Windows® systems, Microsoft Office®, Exchange® and other Microsoft resources. Since the mid 2000’s, the working world has shifted away from Microsoft resources though. Mac and Linux systems are on the rise, web-based applications are replacing Microsoft Office, file storage and servers have moved to the cloud, and networks have transitioned to wireless. Microsoft didn’t build Active Directory to integrate with these new resources and their varying protocols. So, IT has been challenged with maintaining secure, centralized user management while trying to bring their environment into the modern age. This is why the concept of a cloud directory is such an exciting breakthrough in the directory services market. But, it’s important to clear up what a cloud directory is and what it isn’t. A cloud directory isn’t just taking a legacy directory service like Microsoft Active Directory and shifting it to the cloud. It also isn’t an electronic organization chart like AWS Cloud Directory. Rather, a cloud directory is an authentication, authorization, and management service that connects users to the IT resources they need regardless of location, platform, protocol, or provider. However, a multi-protocol approach is one of the most critical components that can impact the effectiveness of a cloud user management system. This is because modern IT resources use a variety of protocols, and the cloud directory needs to be able to translate an identity into whatever protocol is necessary (e.g., LDAP, RADIUS, SAML, and others). Additionally, a core part of a cloud directory is the user management piece. 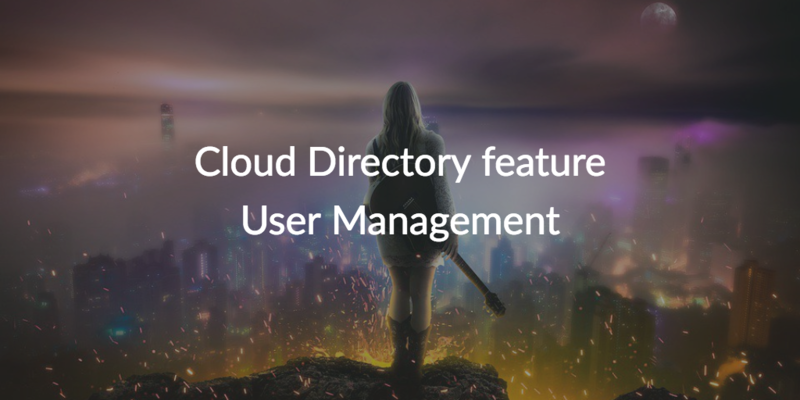 A cloud directory with effective user management will provide IT with the ability to add, delete, and modify users and their access rights. When you combine this with a cloud directory that supports a variety of protocols, IT gains a powerful user management tool. You might be wondering where you can find a tool that supports all of that. JumpCloud’s Directory-as-a-Service® is a cloud-based directory that utilizes a myriad of IT protocols and has a feature for user management. With JumpCloud’s cloud directory feature user management, IT can manage user identities and their access to systems (Windows, Mac, or Linux), cloud and on-prem servers (e.g. AWS, GCP, on-prem data centers), web and on-prem applications via LDAP and SAML, Samba file servers and NAS appliances, and WiFi and wired networks through RADIUS. Additionally, all of the user access rights can be managed from one web-based console, and the organization doesn’t have to worry about hardware, software, maintenance, security, or availability. JumpCloud handles all of this while the IT organization simply leverages the cloud directory’s user management capabilities. If you are interested in an in-depth look at the architecture behind the cloud directory’s multi-protocol approach, consider viewing this Cloud IAM Whiteboard video. If you have any questions about how you can leverage the cloud directory feature user management, please reach out to us. If you’re ready to test JumpCloud’s Directory-as-a-Service, sign up for a free account and explore all of our features. Your first ten users are on us.